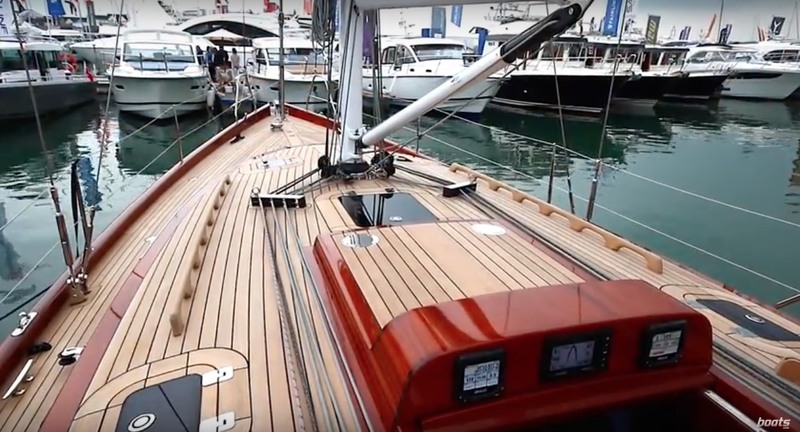 Known for building dinghies of all shapes and sizes, the Fareast 18 with its keel and cabin is the next step for this Chinese boatbuilder. 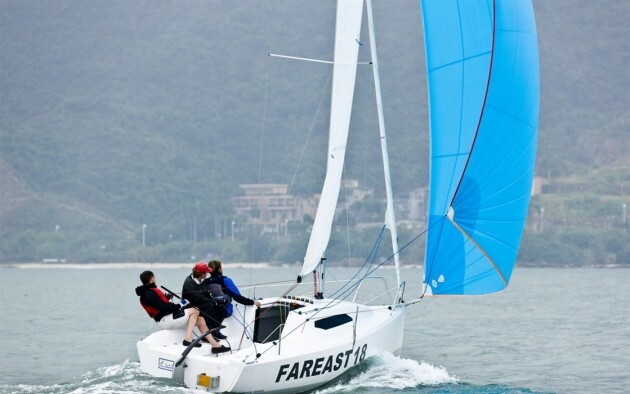 Founded 12 years ago and now based in Jiangsu Province, China, Fareast is a manufacturer of sailing craft ranging in size from small Optimist dinghies to 36-foot sailing catamarans, writes Martin-Sebastian Kreplin. 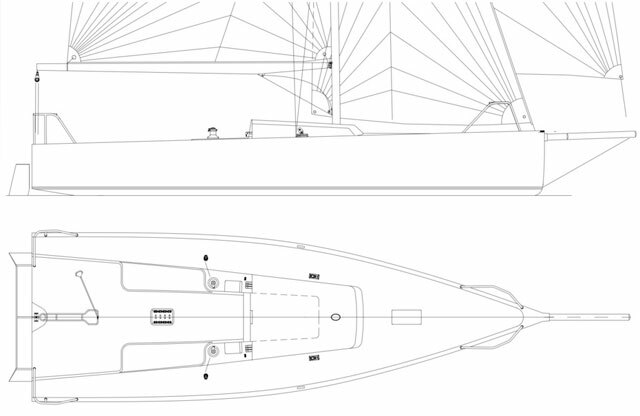 The Fareast 18 is a Simonis/Voogd design with conservative good looks, a retractable keel with ballast bulb, enclosed cabin, and a powerful rig. 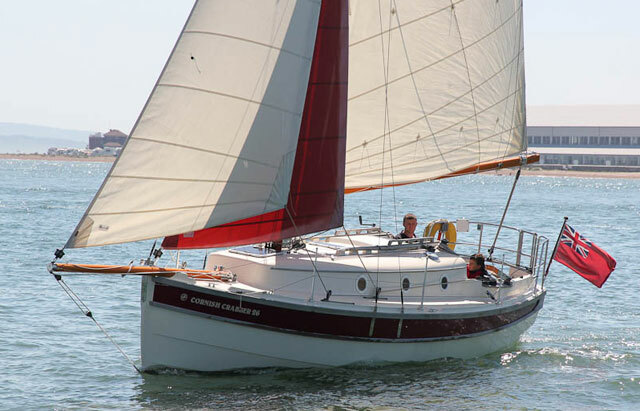 The design is narrow, with a closed stern, which is rare on sailboats this size, as is an enclosed cabin. There’s nearly 22 square metres of sail area between the main and jib. 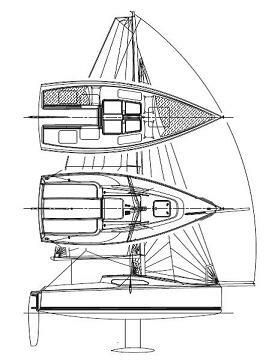 Add in the almost 28 square-metre gennaker (there’s a retractable bowsprit, too) and you’re talking serious sail power for an 18-footer. We [the boats.com Germany test team] sailed the boat on Flensburg Fjord and discovered that it’s delectable to sail. Leaving the marina, it felt like a super-sized dinghy with a lively helm. 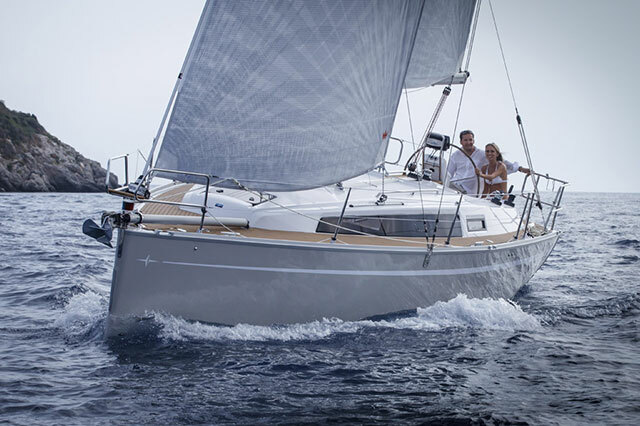 There’s beautiful North Sail canvas that catches every breath of the breeze. The boat converts those breaths into speed without much intervention by the crew, which made it hard for us to turn the helm over to other crew members. 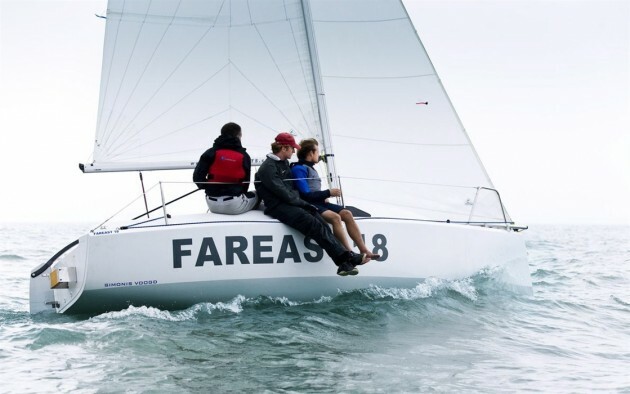 In four knots of breeze upwind, the Fareast 18 managed 3.8 knots, tacking through about 90 degrees. As is usual on small boats, the motion through the water felt faster than it really was and Ann Kristin, who normally sails a 49er FX, was enthusiastic about the performance: “You really don’t need more boat,” she said. On deck it all seems to be fine for novices and those with experience of smaller classes. But what kind of interior can be realistically expected for less than £15,000? Despite the sizable cabin, the moulded liner feels as if it needs some bunk cushions, and indeed, you can check them on the options list. Some moulded cubbies and two seat lockers in the cockpit swallow the necessities; the rest is up to your creativity. Types like Ann Kristin are absolutely happy with this kind of fit-out, while others might want to add canvas lockers and maybe a portable pantry for added comfort. 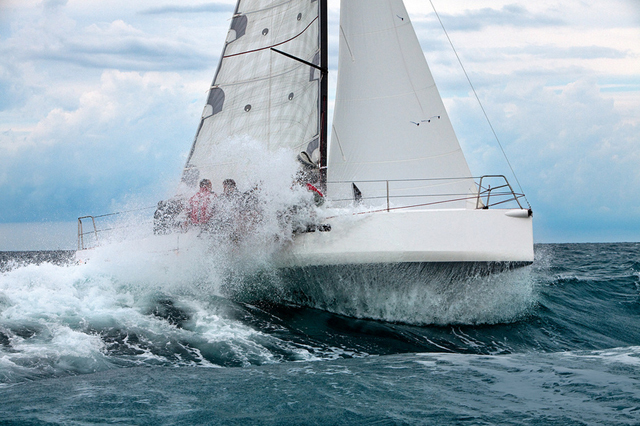 With the proper gear, this little keelboat has enough space for two to survive a two-week trip. The headroom of 1.2m (4ft) under the companionway hatch is sufficient to don your waterproofs. The sitting headroom of 91cm (3ft) in the forepeak is reasonably comfortable. 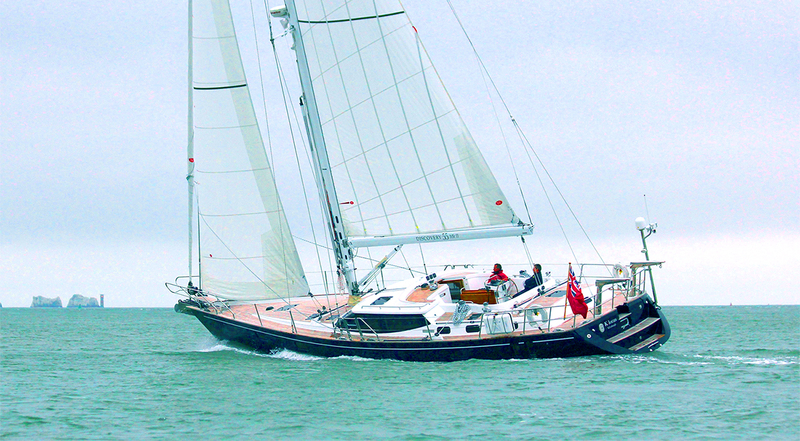 Ditto with the size of the berth: 2.3m by 1.4m (92in x 55in) offers more than enough space. What’s missing is a foredeck hatch or a secondary opening for venting the interior. The rounded and forward-reaching cabin trunk makes it difficult to retrofit an aftermarket product, which is irksome. The cabin is completely sealed off aft and parts of the interior are used for buoyancy, hence there is no access. 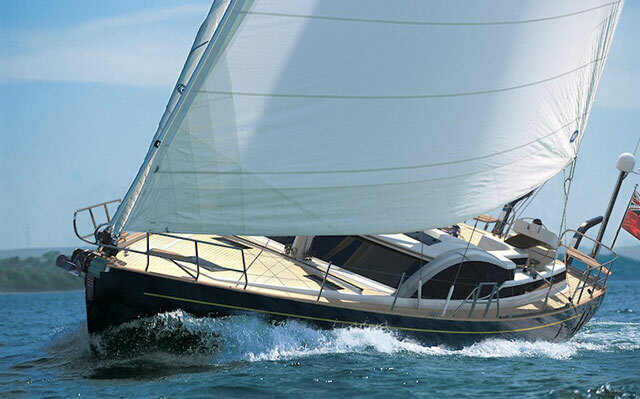 Nevertheless, there is enough total stowage volume to load down this boat and ruin its stellar sailing performance, so consider going without additional lockers and compartments, which will only tempt you to burden the boat with household kit. The lifting keel can be cranked up for the road with a small crane that is inserted laterally, but it's not a solution for daily use. In venues where the slender T-shaped keel might cause problems (i.e. by snagging kelp), a more sensible choice might be the traditionally shaped fixed keel, which also has a 1.2m (4ft) draught. 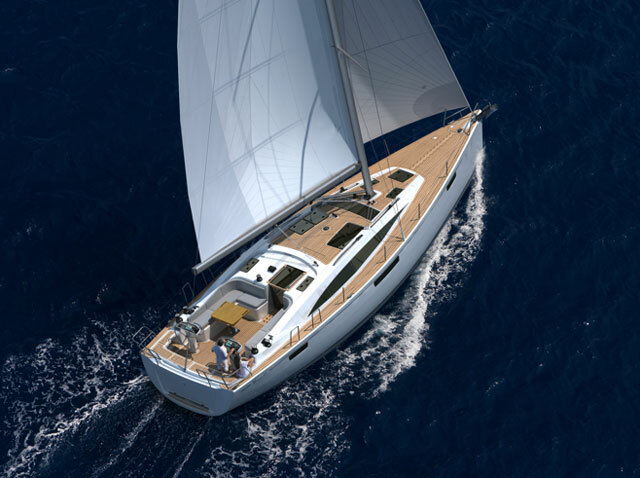 Every component in the Fareast 18 is produced with vacuum-infusion technology, including the hull, deck, rudder blade, and keel fin. The ballast bulb is lead, the curved tiller is made of carbon fiber, and the core material for the hull and deck sandwich is PVC foam. Everything is finished in near-industrial quality, which goes to show the advances that have been made by the yard. 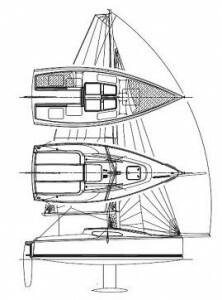 A few years ago, some interior components of the Fareast 26 could be categorized as below average. Today, not one manufacturing detail on the Fareast 18 was cause for alarm. Especially well done is the hull-to-deck joint. While the Fareast 18 has its limitations (though not many), we found it to be very capable, well thought out, and extremely well built – all qualities you might not have expected from a Chinese yard a decade ago. View Fareast listings on www.boats.com.